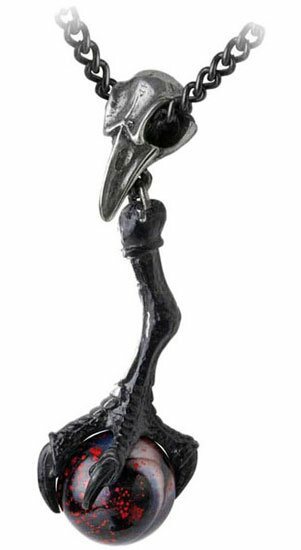 Raven skull with raven claw clutching a red marbled orb. 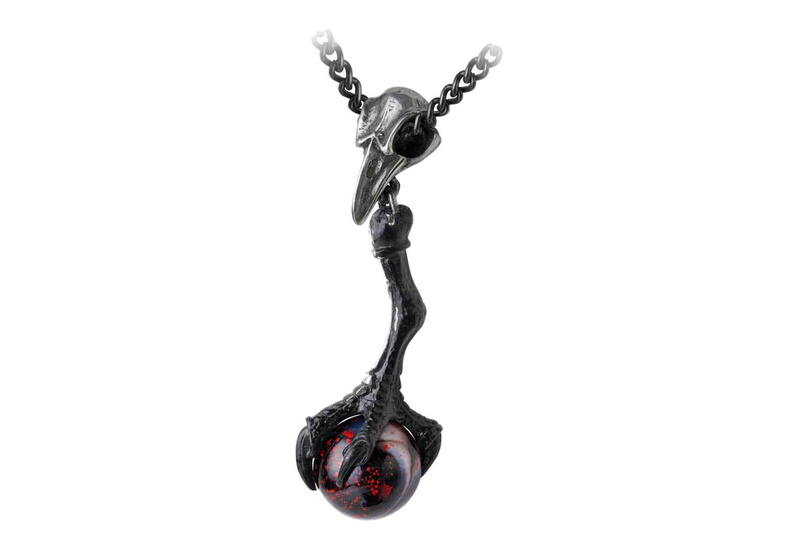 Made of fine English pewter with blackening and glass sphere. Measures approximately 2.48 inches wide, 0.63 inches high and 0.67 inches deep. By Gothic Alchemy.